Nationally, traffic crashes continue to rank as the number one cause of death for 16-to 19-year olds, according to the AAA Foundation for Traffic Safety. 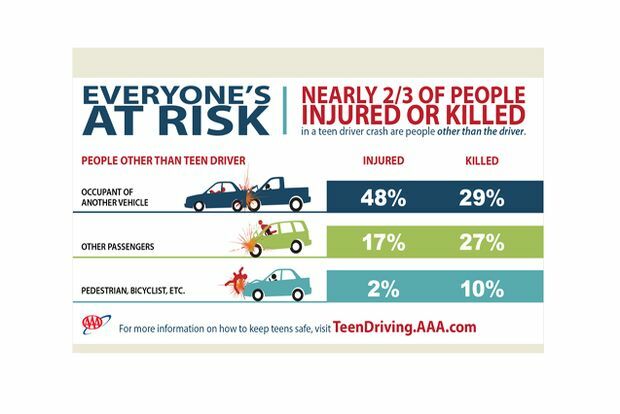 In California, teen driver fatalities (age 16-19) increased 26.4 percent from 72 in 2013 to 91 in 2014 and while thousands of others were injured, according to the state’s Office of Traffic Safety. Examining all fatalities involving young California drivers, age 15 to 20, including passengers, occupants of other vehicles and non-occupants, and the number climbs to 411, according to the National Highway Transportation Safety Administration Fatality Analysis Reporting System data.